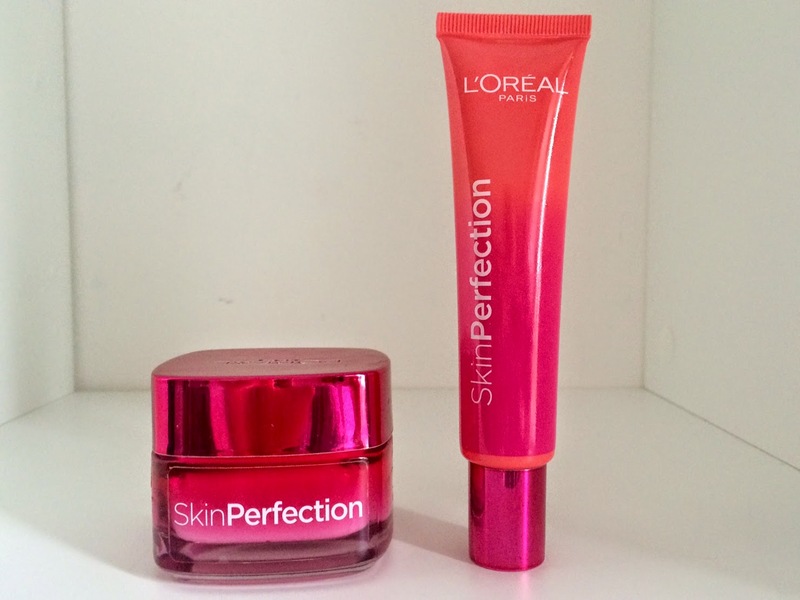 I had heard and read really good things about this range so I though I would try it out, these are the Skin Perfection Day Moisturiser and the Anti Fatigue Perk-up Cream and these are both are part of the Loreal skin perfection range. The one in the tub is the day moisturiser and at £9.99 it is my favourite. It is a light, pink cream and only a small amount is needed to cover your whole face so a little goes a long way with this one. It left my skin glowing and helped to get rid of any oiliness on my T-zone. It smells nice and leaves quickly absorbs, leaving my skin feeling soft and hydrated. One thing I didn't like about this product is that if you add another layer it starts to peel off rather than absorb. The tube is the Anti Fatigue Perk-up Cream. This one is £7.99. When I bought this one I didn't realise that it was more like a BB cream as it is tinted. 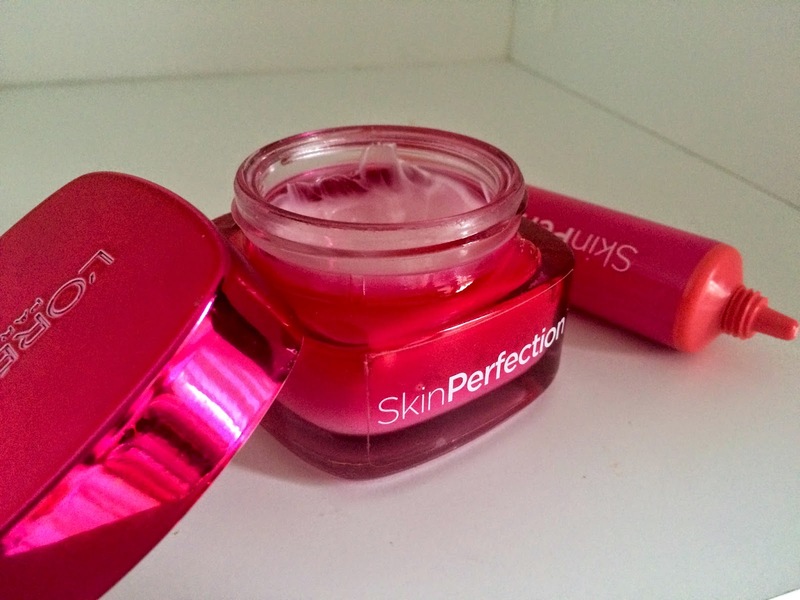 I didn't like this very much as it was quite difficult to spread the tinted cream evenly so that the colour didn't leave me looking patchy. 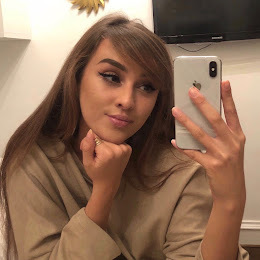 It is definitely extremely moisturising however and once it is applied evenly it creates an even radiant skin tone which is perfect if you don't want to wear foundation in hot weather especially since it also has SPF 20 in it.